Beneens is situated in a small industrial site. We heat our office, workshop and painting room with waste wood. As our company needed to invest in new office space we also needed to invest in a new wood fired boiler. Our old boiler had a number of technical problems. During the research for a new wood fired boiler, in collaboration with VITO, the idea came to provide the new SME-zone with heath delivered by a district heating network. Beneens demonstration in the STORY project are efficiency enhancement and active control of ORC through the use of thermal storage. 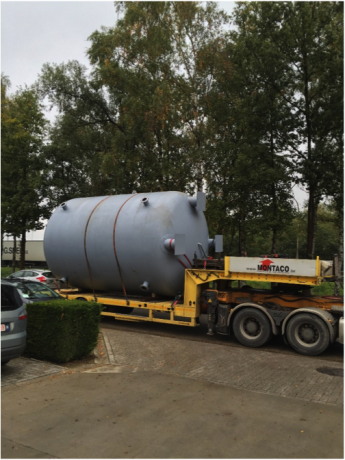 At our demonstration site we will build a new wood fired boiler (1.6 MW) with a heath delivery of 150°C. This boiler is in connection with a ORC (Organic Rankine Cycle). The ORC produces electricity of +/- 90 kWe/h. 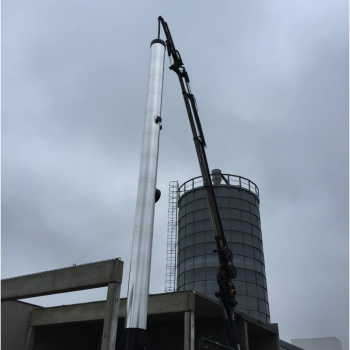 In order to increase flexibility of the system thermal energy storage based on a hot water storage tanks are added. To provide sufficient wood waste for the ORC in winter and summer there is an option to collect waste wood from other companies. The batteries are installed. They are charged at night when we produce more electricity as needed. 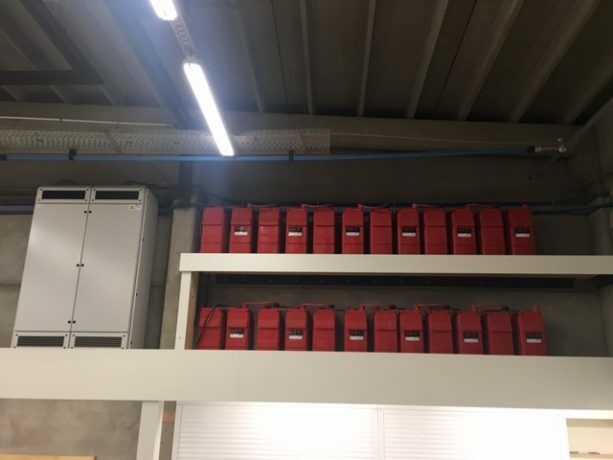 In the day time the new office building uses electricity from the batteries. 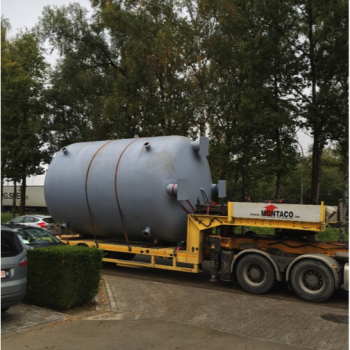 Connecting the thermal storage of 17.000L and connecting the ORC and Cooler. The new components of our high voltage cabin is put in place. 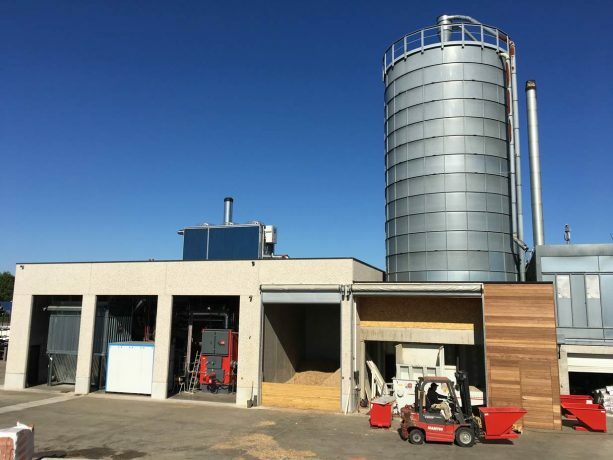 Picture of the installation with on the right-hand side the silo for sawdust, the breaking installation for waste wood and the storage of waste wood. The dry cooler for the ORC installation is on top of the building. This picture shows the (red) wood fired boiler at the right, the 50.000l thermal storage tank at the left, and part of the heat network switching system centrally. 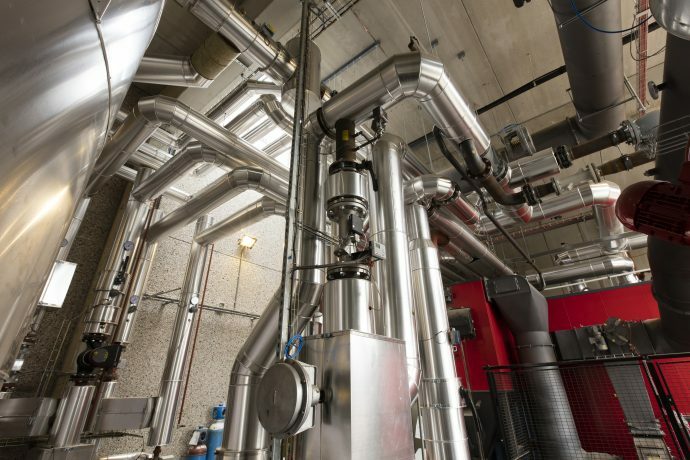 The waste wood boiler with a thermal capacity of 1,600 kW provides heat at a temperature of 145°C to an Organic Rankine Cycle (ORC) and the high temperature heat collector (90°C) via a heat exchanger. High temperature heat consumers like the buildings of Alucon, BM, Beneens Constructions and the spraying and drying rooms are connected to the high temperature collector. In order to increase the efficiency of the boiler a thermal energy storage system is installed in between the heat production and the high temperature heat consumers. The ORC converts high temperature heat from the waste wood boiler into electricity (90 kWe) and low temperature heat (910 kW). 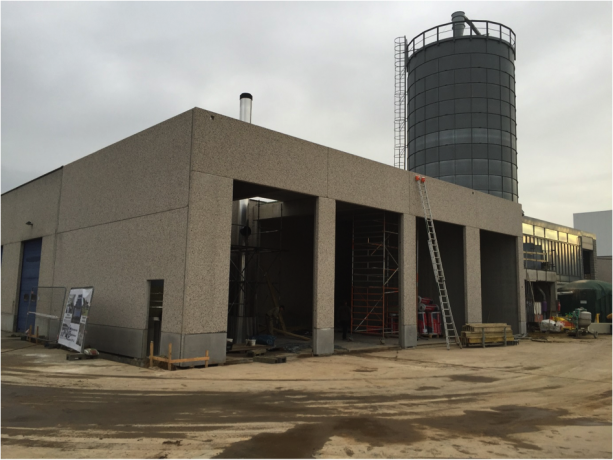 The low temperature heat is used for the existing and new office buildings of Beneens, the spraying rooms and in the SME district that has to be developed. In order to increase the efficiency of the ORC a thermal energy storage system is installed in between the ORC and the low temperature heat consumers. 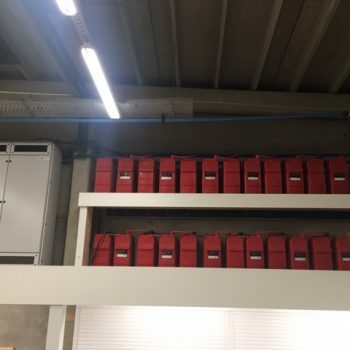 Construction company Beneens is an interior and construction company located in Olen (Belgium) and a trendsetter in innovation and sustainability in the build environment. 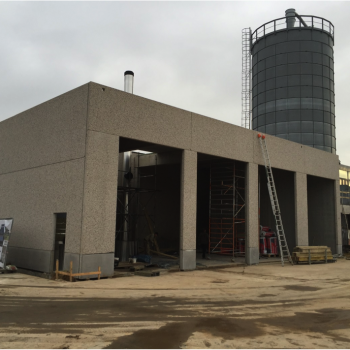 At 14-16 October of 2016 the company celebrated his 80st anniversary, the opening of the new nearly energy neutral office building and the inauguration of the new waste wood energy plant. The new office building is constructed in cross laminated timber with certified PEFC-wood. 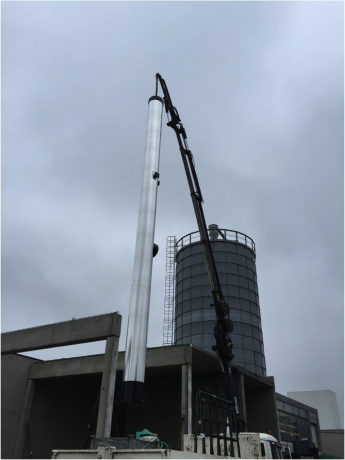 This way of constructing and new building technologies is ideal for low energy buildings. The building will be used as a show case for potential clients. 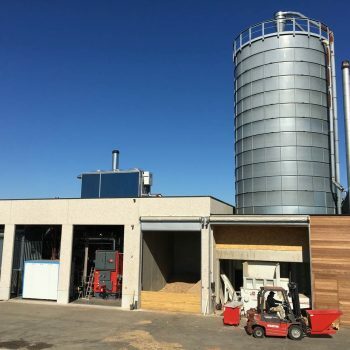 The new energy plant is used to valorise waste wood from the own carpentry and waste wood from local companies. The waste wood is burned in a biomass boiler generating water at a temperature of 145°C. 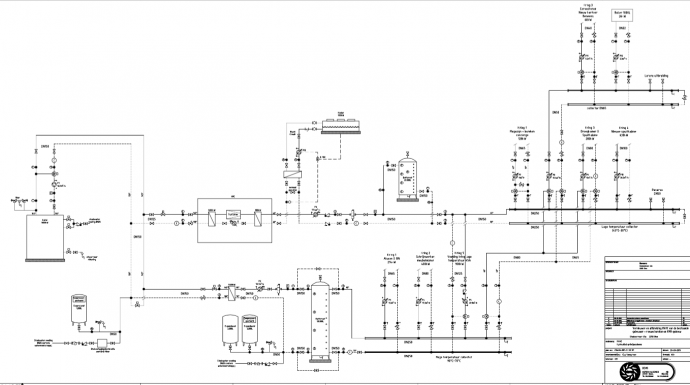 The heat is used for electricity production in an ORC and for process heating in the company. The waste heat of ORC is used for heating of the existing and new office and a number of low temperature processes.